Dynacraft BSC of American Canyon, Calif., is recalling about 20,000 Surge and Tonka battery-operated ride-on toys. The acceleration pedal can stick, posing fall and crash hazards. The company has received 19 reports of pedals sticking, including seven reports of minor injuries; abrasions, cuts and bruises. 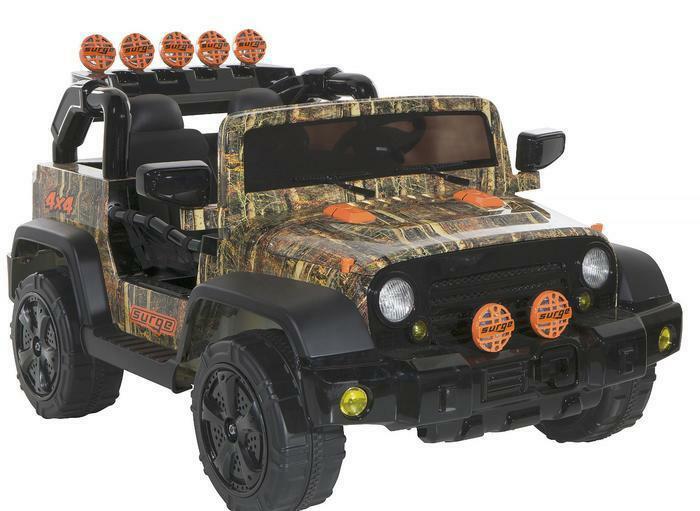 This recall involves three models of 12V battery-operated ride-on toys, including Surge 12V Camo 4X4, Surge 12V XL Quad and Tonka 12V Mighty Dump trucks. The recalled ride-on toys have model numbers and date codes listed in the table below. The model number, batch number, serial number and date code, formatted as “MMDDYYYY,” are printed on a label on the bottom of the ride-on toy. The Surge 12V Camo 4X4 was sold at Walmart nationwide between June 2016, and March, 2017 for about $300. The Surge 12V XL Quad sold at Academy Sports + Outdoors stores nationwide from September 2016, through March 2017, for between $150 and $200. The Tonka 12V Might Dump Truck was sold at Toys R Us stores nationwide and online at ToysRUs.com from July 2016, through November 2016, for about $350. Consumers may contact Dynacraft at 800-551-0032 from 7 a.m. to 4 p.m. (PT) Monday through Friday or online at www.dynacraftwheels.com and click on “Product Recalls” for more information.